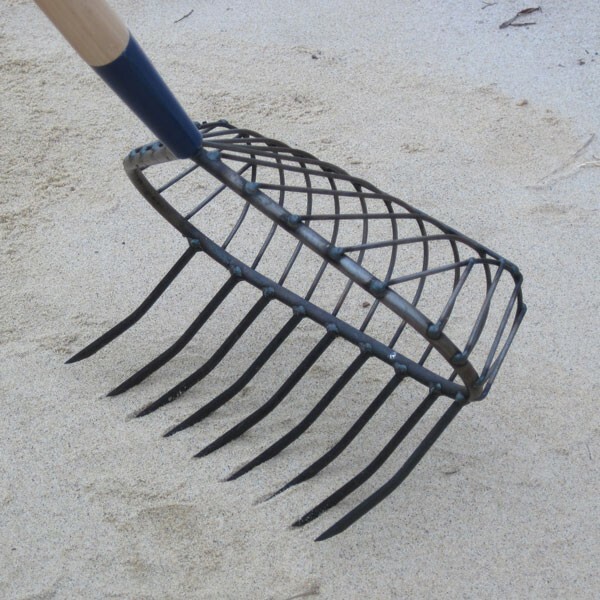 Stainless Steel Snapping Turtle Rake - Rakes - GoClamming! This new product for us, designed with the help of our Southern customers, holds product like a basket rake, and fishes like a rooster style SCRATCHER--thus the name. Customarily this style has 9 teeth 4 inches long, and 2 outside teeth 3 inches long. The design features a shallow basket, and is complete with 5 foot ash handle installed. It is popular with commercial and recreational clammers--light duty, but efficient!